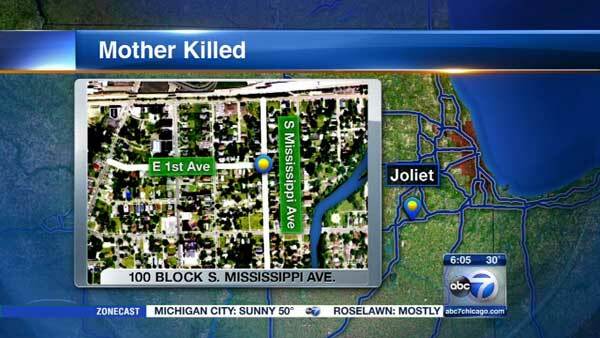 JOLIET, Ill. (WLS) -- A 20-year-old mother was shot to death in a car with her three children inside in southwest suburban Joliet. On Tuesday night, Jourdyn Williamson was riding in a car with her children and another woman in the 100-block of Mississippi Avenue. Police said several people walking on the street opened fire. Williamson was shot in the head. She was taken to St. Joseph Hospital, where she was later pronounced dead. No other injuries were reported. Police said witnesses saw eight men running away from the scene.